WOW – we had another successful prize giveaway last night in Ishpeming. Dave Wiegand of Marquette won the American Heritage pool table from Rec Depot. Our contestants had to shoot pool to gain points toward their prize selection order. It was hilarious watching Major Discount coach several ladies on how to shoot pool. Rumor has to (from B.T.) that Major D never shot pool at all!!!! 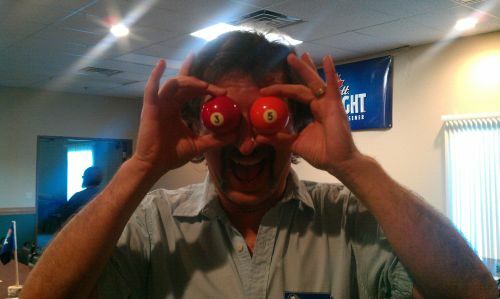 Watching that one lady chase the cue ball around the table was making my eyes hurt!!! Hope everyone enjoyed a great evening of fun!! !